Like many other sports, golf’s history is measured so much by the rivalries of eras. When an individual tournament sees two players separate themselves, that’s about as good as it gets. We saw a glimpse of it in this year’s Masters when Sergio Garcia and Justin Rose staged their own little match play effort on the back nine on Sunday, then a sudden-death playoff that Sergio ultimately won for his first major title. As we get ready for The Open Championship (you non-golf fans know it as the British Open), let’s look back at last summer. 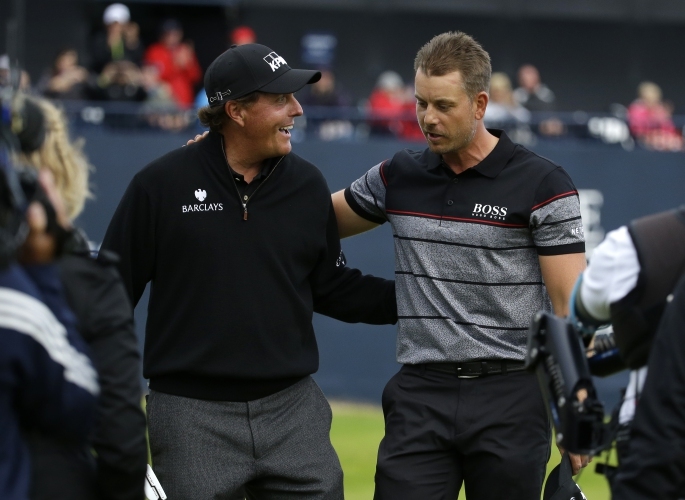 A stirring Sunday afternoon produced a battle that history will ultimately rank at or near the top of any list of great golf battles, as veterans Henrik Stenson and Phil Mickelson battled at Troon for the 145th edition of The Open Championship. 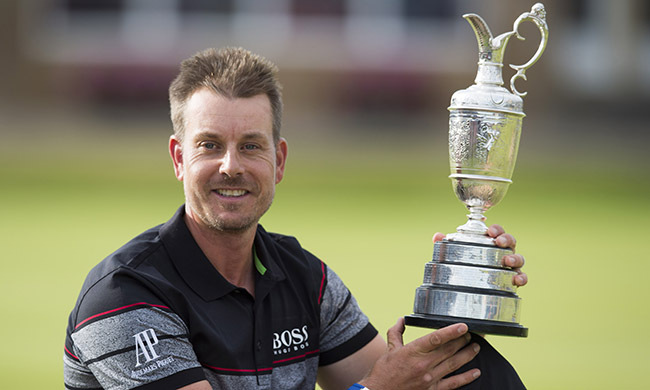 Henrik Stenson’s nickname “The Iceman,” comes from his steely, unflappable demeanor. And when he’s zeroed in both with his golf swing and his focus, there are few in the game that are better. 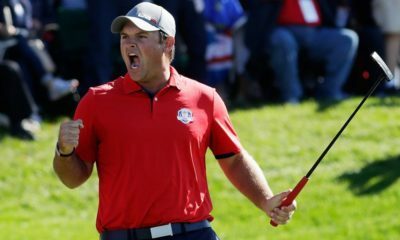 “His golf is obviously absolutely impeccable and he’s a great competitor,” said longtime Ryder Cup teammate Justin Rose. That showed in 2013 when he won not only the PGA Tour’s postseason FedEx Cup but also the European Tour’s own version, the Race to Dubai. He carted home truckloads of money in multiple types of currency and had the best season of anyone in golf … sort of. Because the reality is, golf’s greatness is measured four times a year in its major championships. And despite that one amazing season and a total of 18 career professional wins, Stenson entered Troon at age 40 with the same number of major titles as you, the reader, probably has. Oh, but what was to come. If anyone knows the frustration of a long career without a major win, it’s Mickelson. He spent the first decade-plus of his professional career coming up short in almost every way imaginable. In fact, today he stands second only to Jack Nicklaus in career second-place finishes in majors. He did break through in 2004 at The Masters and has captured four more majors since. And he sure did everything he could to add a sixth last year at Troon. 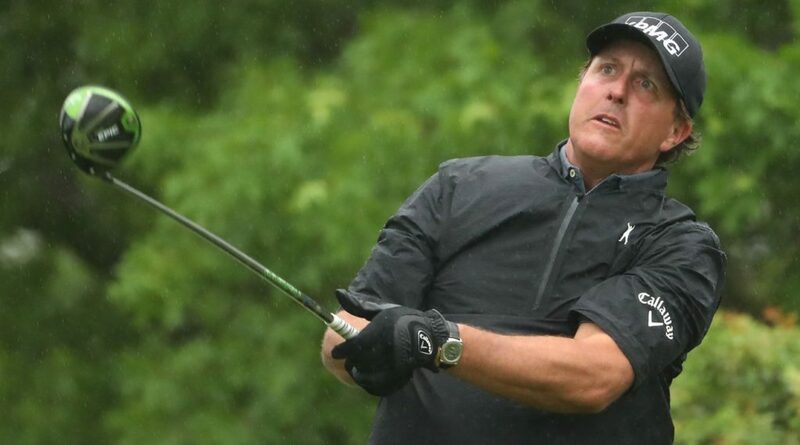 “You know, it’s not like I have decades left of opportunities to win majors, so each one means a lot to me,” Mickelson said at Troon last year. By about midday Saturday, it was clear this was not going to be a young man’s battle, as the two wily veterans were separating themselves from the pack. By the end of the third round, Stenson stood at 13-under and Mickelson at 12-under, with the field not even in shouting distance. Then came Sunday and one of the great battles golf has seen in a long time. They may as well have been the only two golfers on the property. The players shot matching front-nine totals of 4-under 32, allowing Stenson to maintain the one-stroke lead he started the day with. But the Swede was scorching on the back nine. Birdie at 14, a 50-foot bomb for birdie at 15 and a final one on the 18th gave him a 63 that tied the major championship single round scoring record. Mickelson’s 65 was sensational in its own right but not enough. The third-place finisher, American J.B. Holmes, was 11 shots behind Mickelson. Stenson’s total score of 264 is the lowest ever for four rounds of a major championship, with the 20-under tying the all-time mark relative to par. Mickelson, in fact, had the second lowest total ever at 267, also unfortunately giving him a record for lowest score by a non-winner that may stand for decades. “It’s probably the best I’ve played and not won,” Mickelson conceded. “I played a bogey-free round of 65 on the final round of a major. Usually that’s good enough to do it, and I got beat. It all leads us to this year, with The Open headed to Royal Birkdale July 20-23. 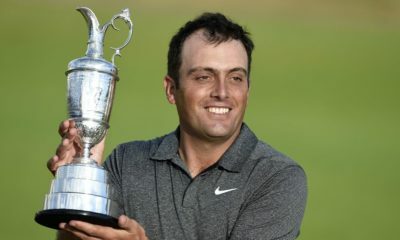 We’ve already had a stirring year in majors, with Garcia’s breakthrough at Augusta and Brooks Koepka kicked in the door for his first major win at a birdie-filled U.S. Open last month. Birkdale has produced legendary champions – Arnold Palmer in 1961, Lee Trevino in 1971, Tom Watson claiming his 5th Open in 1983. 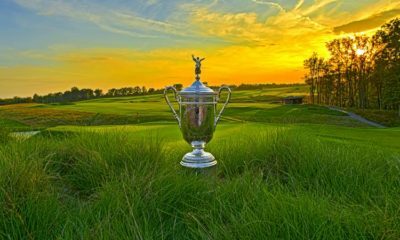 It was last contested there nine years ago, with Padraig Harrington outlasting Garcia in the first major played after Tiger Woods’ last major triumph. So can a great duel happen again? The short answer is no, of course it won’t happen again. Not so soon. In this crazy game, you just never know. History is waiting to be written.